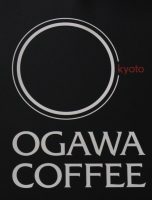 Ogawa Coffee is a large (40+ stores) speciality coffee shop chain from Kyoto. However, the branch on Milk Street, right in the heart of downtown Boston, is its first overseas venture, having opened in 2015. An interesting blend of Japanese and American coffee culture, I loved it, particularly the attention to detail shown by the baristas. The shop itself is long and thin, with perhaps the highest ceilings I’ve seen in a coffee shop this year. About as wide as it is tall, Ogawa has a great sense of space. There’s a good choice of seating too, with tables at the front and what is called stadium seating at the back, opposite the counter. Best of all, you can sit at the counter itself and watch the filter coffee being made. Talking of coffee, it’s all roasted in Kyoto and air-freighted to the shop on a regular basis. There is a house-blend and three single-origins, which can be had by any method (espresso or hand-pour filter). These are joined on espresso by decaf and guest single-origins which change every week or two. Perhaps best of all, Ogawa serves a tasting flight, where you get to sample all three single-origins side-by-side. Occupying a corner at the top of Boston’s Milk Street, Ogawa Coffee has chosen a striking location for its first overseas branch. The entire front is glass, with a deeply-recessed door between two curving window-bays. As tall as it is wide, it has one of the highest coffee shop ceilings I’ve seen in a while. There are tables in front of each of the window-bays, as well as a two-person square table on the left. However, the bulk of the seating is on the right-hand side, while the counter is about one-third of the way back on the left. A row of two-person tables runs down the right-hand wall before giving way to what is known as “stadium seating”, three rows of bench seating ascending opposite the far end of the counter. The short side of the counter faces the door, where you’ll find the till and food. The long side runs towards the back of the store, opposite the seating. First come the grinders, then the espresso machine. Ogawa, as is typical of speciality coffee shops in America, operates a counter service, so you also collect your coffee here. Next there’s a pillar, beyond which is the pour-over part of Ogawa, where you’ll also find a few bar stools, so you can sit and watch the coffee being made. The focus at Ogawa is firmly on the coffee. There is a choice of the house-blend and three single-origins, all of which can be had as espresso or pour-over, using either the Kalita Wave or Aeropress. If you really can’t wait, the house-blend is available as bulk-brew filter, where it is joined by decaf (also available as espresso). If that wasn’t enough, there’s also a guest single-origin (or two) on espresso, plus a tasting flight of the three single-origins, which is what I opted for. Initially, I sat at one of the tables on the side, but Daniella, my barista, invited me up to the counter so that I could watch my coffee being made. The tasting flight uses the humble cafetiere since, Daniella told me, it is the cleanest method, involving no filters. 15g of coffee is used, with 130ml of water, with a brew time of three minutes. The coffee is then served in glasses, all presented on a tray with tasting and production notes for each coffee, including a sketch of the farmer, which was a nice touch. You’re encouraged to try small amounts of each coffee and compare them, as well as let them cool. Initially I wasn’t very keen on the Guatemalan and found it difficult to distinguish between the El Salvador and Costa Rican, but as they cooled, they evolved, with the Guatemalan becoming really fruity, while the Costa Rican became my favourite, turning out to be a very well-balanced coffee. I enjoyed sitting at the back, removed from the hustle and bustle of the other customers, watching the baristas making Kalita Waves and Aeropresses. I was very impressed with the attention to detail and also with the engagement from the staff, all of whom appeared very knowledgeable and happy to talk with me. I was there so long that I thought I ought to order another coffee and so had a very fine decaf cappuccino. Smooth and strong, the taste of the coffee clearly came through the milk, combining very well with its natural sweetness. The latte art was also very impressive. I paired this with a warm, sticky, pecan bun. This was served on a plate, complete with knife and fork, and wasn’t too sweet, which I always appreciate. All very civilised. Liked this? Then take a look at the Coffee Spot Guide to Boston and Cambridge for more great coffee Spots. For an alternative viewpoint, you can see what fellow-blogger Bex made of Ogawa Coffee in her Guide to Speciality Coffee in Boston. This entry was posted in Boston, Breakfast, Cafe/Roaster, Cafes, Cake, Laptop Friendly, Lunch, Retailers, Sandwiches and tagged include by Brian Williams. Bookmark the permalink.